Promote and strengthen volunteerism by uniting community volunteer efforts, supporting professional management, enhancing volunteer career mobility, and establishing volunteer partnerships to support individual personal growth and life-long volunteer commitment. The IVC program embraces all installation volunteer programs, unites all volunteers who support Service Members and Families and formalizes the military’s commitment to volunteerism. Volunteers contribute a broad range of services that enhance and expand the capabilities of military programs and services. Working as teams, paid and volunteer, provide real-life solutions for successful military living. Volunteering allows you to explore new career fields or update your existing skills and accumulate work experience. It’s also a wonderful opportunity to meet others who are active participants in the community. The IVC Program promotes quality volunteer work experiences and environments which recognize the valuable contributions volunteers make to the Joint Base Lewis-McChord (JBLM) community. 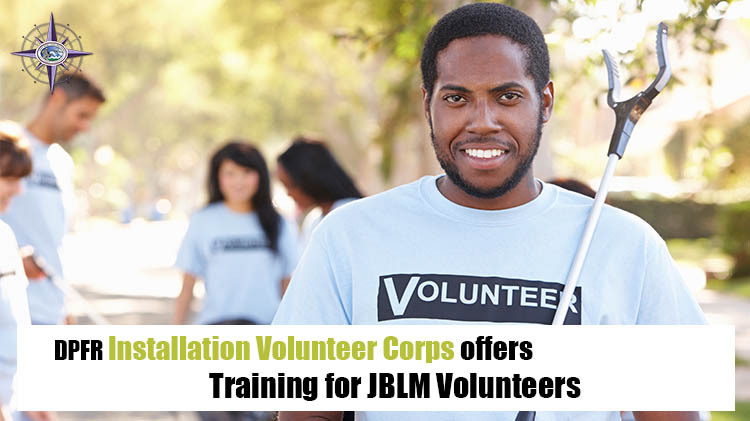 As a liaison and resource for installation and private volunteer organizations, the JBLM Installation Volunteer Corps provides resources, training to organizations and volunteers to assess, develop and strengthen their volunteer programs. VMIS - Are you tracking? JBLM units/organizations are on line with the Department of Army Volunteer Management Information System (VMIS) at www.myarmyonesource.com! The information travels with you when you PCS or ETS, and provides you with a complete volunteer history whether you're just tracking your volunteer activities, or using the information to search for employment. can be found by accessing the Opportunity Locator on www.myarmyonesource.com. Search by military community (Joint Base Lewis-McChord, located under IMCOM-Central), and by organization (the organization you wish to volunteer in). ​​​​​​​Statutory volunteers are those volunteers authorized by federal statute (10 USC 1588) to provide services in certain Department of Defense activities such as MWR, family programs, museums, chaplain, child care, etc. Statutory volunteers, when registered, recording hours, and acting within the scope of their position description, are provided certain benefits by law such as worker's compensation. Logging hours can earn an award per JBLM Regulation 672-3, Community Volunteer Service Awards Program.